Kindly help if there is anything we need to apply or check ..!! 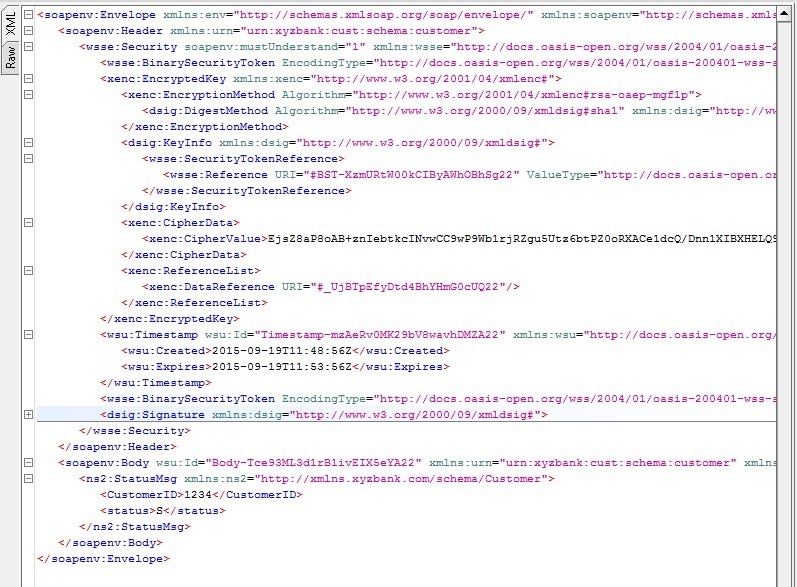 You have to create the entire configuration again..that’s what i observed..but there may be much more effective soln.. always check your actual request in soap ui to make sure that its applied properly. 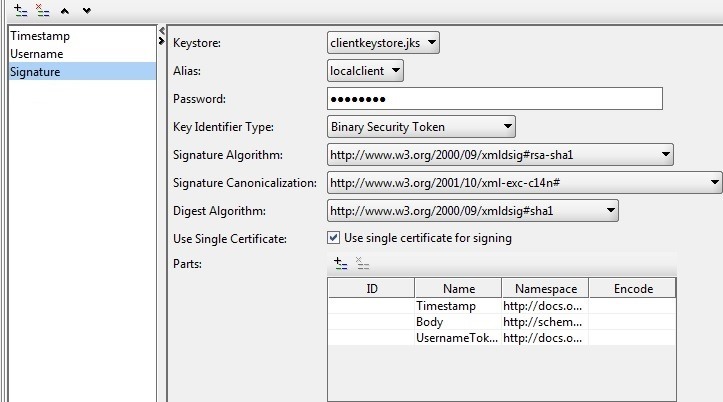 3.Exported certificates and imported them in to one another, placed server.jks under base_domain/config/fmwconfig and restarted the server. 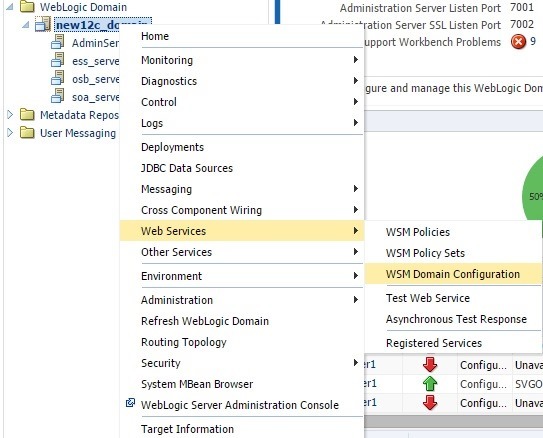 Note that the service policy used in the blog post wss10 policy. 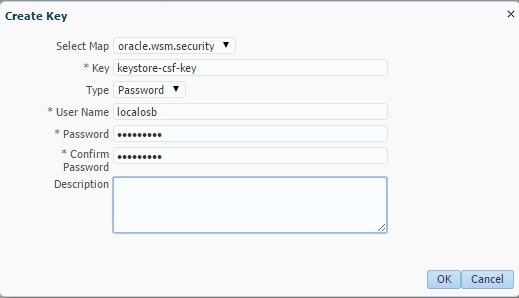 wss11 policies have some difference in the setup and also use HMAC based signing which free SOAP UI version does not have support for. I suggest you quickly try with wss10 server side policy to make sure that your setup is right at least in that context. And you can search for HMAC usage in SOAP ui in their forums. 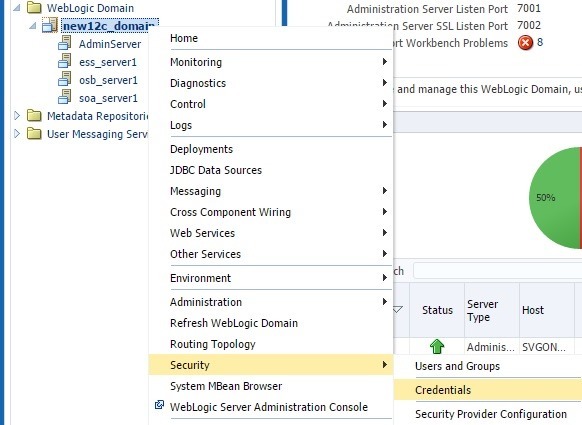 If you want to try out with wss11 policies try to create proxy in jdeveloper by giving the wsdl for your service. Cause: Parts or elements to be encrypted according to policy were different from those in the SOAP message. Action: Refer to the policy and WS-Security specifications to ensure that all encryption requirements mandated by the policy and the specifications are met. Unable to resolve kindly help..!! 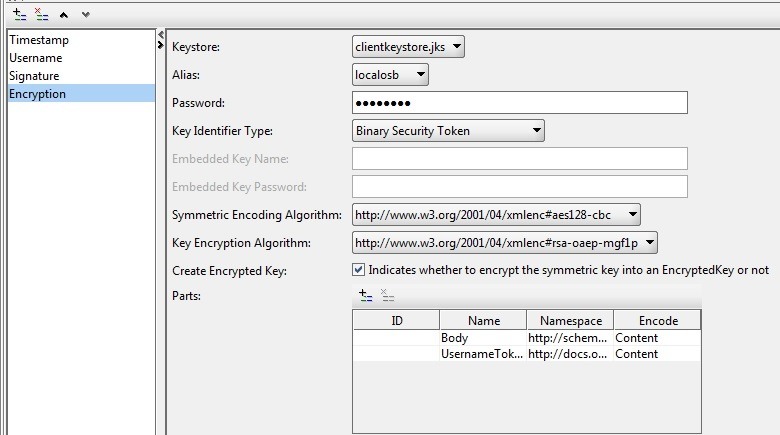 What’s the policy at serve side… how are you encrypting the required parts at client side while making the request..